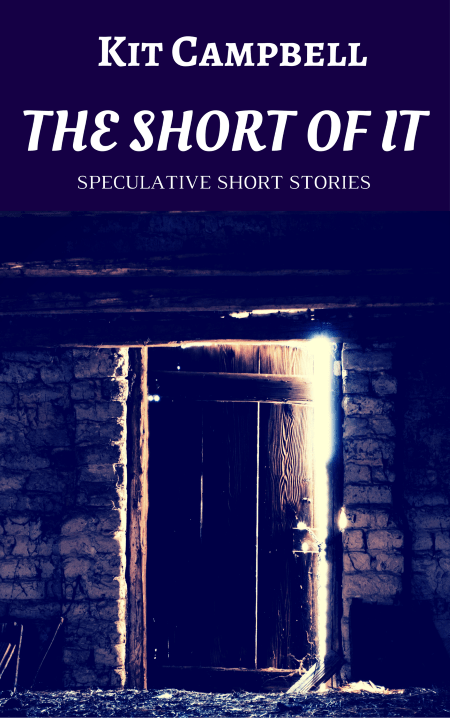 Today, Squiders, I am pleased to reveal the cover for my short story collection The Short of It: Speculative Short Stories which will be released on February 8th. The collection includes four previously published short stories from 2011-2013, as well as one new one. As I previously mentioned, I’m going to release the collection on Kindle exclusively, at least at the beginning, to see if there’s any merit to that particular brand of madness. The collection will be $0.99. So, tada! I’ll let you guys know next Wednesday when it goes live. Thursday we’ll go back to the nonfic posts and jump on the madness that is self-publishing novels. Okay, squiders! This’ll wrap up traditional publishing for novels, and then we’ll take a bit of a break before we jump into self-publishing novels. So let’s say you’ve gotten an agent if you wanted one. Your agent may work with you to revise your novel, depending on its state. Once you and the agent feel it’s ready, the agent starts approaching publishing houses and querying your novel. Depending on the publishing house, there is a differing number of people who need to be convinced to buy your book. A small press may have a single person in charge of acquisitions (normally known as an acquisitions editor), whereas a large house may have an entire acquisitions team. In some cases, even if you have an acquisitions editor who loves your novel, if they can’t convince their team/their manager to buy your book, they may be unable to do so by themselves. Interested publishers offer you a book deal. If there are multiple publishers that are interested, your novel may go to auction, which is coordinated by your agent. There are different kinds, but essentially each interested publisher offers a book deal for your novel, and the best one gets the publishing contract. NOTE: If you’ve gotten a book deal sans agent from a publisher, the following steps are more or less the same, allowing for variations within different companies. Once your book is with a publisher, it will undergo an editorial review, after which you’ll get an editorial letter, which is essentially a letter with everything that needs to be changed. Some of this might be more major, like structural or pacing changes, or it might be more minor. You’ll have a deadline to complete the changes by. Copyediting is also usually done at this point. NOTE: If there’s something major in your editorial letter that you strongly disagree with, you can discuss the issue with your agent and editor. Just make sure it’s worth fighting for. You don’t want to fight everything because 1) they probably know what they’re talking about in most cases, and 2) you don’t want to get a reputation for being someone that’s hard to work with. Once you’ve turned in your edits, the book goes into the final publication phase–it gets typeset, a cover is designed, a title is solidified, marketing is done, etc. WARNING: With a traditionally published book, the author often has little control over things such as titles or covers. Additionally, traditional publishing can be a long process, with it taking over a year between acquisition and a publication date. There is a two tier payment system for traditionally published novels. Some authors are paid an “advance” where they are paid some amount upon signing their book deal. Not all publishers offer these, however, and in these changing times, advances now are smaller than they’ve been traditionally. It’s not uncommon for a debut author to only get an advance of $5000 or $10000, if they get any at all. The second part of the payment process is royalties. Royalties are a percentage of the sales of the book, generally somewhere between 7 and 15%. An advance is technically an advance against royalties, so if you get an advance of $15,000, you won’t actually start earning royalties until you’ve made $15,000 in royalties. So when someone says a book didn’t earn out its advance, it means the book never sold enough copies to make back what the author was paid in advance. All right! That should be it for traditionally published novels, squiders. Please let me know if you think I’m leaving anything out! Or if you have questions, or comments, or anything along those lines. Continuing on from Monday’s post about the ways to have a novel traditionally published, and Wednesday’s post about agents. If you haven’t read those and also aren’t familiar with those topics, you might want to start there. So, let’s say you’ve decided whether you’re going to approach publishers directly or work on getting an agent (or a mixture of both), that you’ve made a list of publishers/agents who you think will be a good fit for your novel and that you know are reputable, you’ve done your research so you know what material each publisher/agent wants with your query, and you’ve put together your query, synopsis, sample pages, and whatever else you might need. NOTE: You may find it helpful to run your query letters/synopses by other writers. Many writing communities offer forums for this purpose. In exchange for looking at your materials, you’re expected to look at other authors’ and help them out as well. This can be especially helpful if you are new to querying. These forums also often include a place for other members to post their queries when they get an agent and/or a book deal so you can see what’s working. After you have everything ready to go, you can start sending out queries, making sure you are following the literary agencies/publishing house’s submission guidelines as to where to send it and what to send. Many authors wonder how many queries they should be sending at a time. This is a personal decision. It can run the gamut from a single query at a time to an author’s entire list, but many authors like to send out 5 to 10 at a time so they can gauge how their query letter is performing and whether they need to change anything before sending things out to the next batch. NOTE: Response times for queries can vary wildly. Some agents will get back to you within a week or so; others may take months. Some agents/publishers never respond if they’re not interested. You can send an email asking for status if it’s been a reasonable amount of time (often several months–agencies’/publishers’ websites might include how long their response times are, and if you’re past that, you’re generally safe to ask) but this is why many people prefer to send out a few queries at a time. If an agent or publisher is interested in your novel, they’ll generally ask for either a “partial” or a “full” manuscript. A partial is generally the first three chapters or the first 50 pages, though this depends and the agent/publisher will generally tell you what exactly to send. In some cases, if they haven’t asked for it already, they’ll ask for a partial plus the synopsis. A full is exactly what it sounds like–you send the entire thing. NOTE: An agent or publisher may ask for an “exclusive”–meaning that they want to be the only person looking at your manuscript until they make a decision. It’s up to you whether or not you want to grant this; if you’re getting a lot of interest in your manuscript, it might not be worth it. Whatever your decision is, make sure you let the agent/publisher know. Most won’t reject a manuscript just because you wouldn’t go exclusive with them. If an agent/publisher likes your partial, they will generally ask for a full. Decisions are then made off of the full manuscript. An agent/publisher may reject at this point, usually with the inclusion of details of why, which can be useful to the author for revising the manuscript if they deem it necessary. They might offer what’s called a “revise and resubmit (R&R)” where they’re interested in the book, but would need some revisions done before they offer representation/a book deal. The author can make the decision about whether or not to do so–if the changes seem like they would be beneficial to the story, it usually doesn’t hurt to make them. However, if you’re getting interest from other agents without the changes, it may be best to leave the story alone. Representation/a book deal may also be offered at this point. You may have a single offer, or you may get many. It’s important to make sure that the agent/publisher is someone you are comfortable working with. Several websites and books offer lists of questions to ask potential agents/publishers to make sure you’re making a good choice. Tuesday we’ll go over what happens after you’ve got an agent/publisher. Questions, squiders? Comments? Cheez-Its for the Landsquid? The most common way to have a novel published traditionally is with the help of an agent. An agent is a representative for the author and their work who helps the author sell said work and hopefully get a good deal out of it. An agent is hopefully with you for your career, so you’ll want to find one who understands you and with whom you work well. Like we discussed in the previous section, to approach an agent, you generally send them a query letter plus whatever other materials (synopsis, first chapter, etc.) they ask for. It can help to have some other contact with an agent first, such as following and interacting with them on their blogs or social media, or talking or pitching them at a conference. This allows you to personalize your query letter more and may help an agent give you higher priority. NOTE: Make sure you’re interacting with an agent in a professional, non-annoying manner. Do not badger them or press them about your novel unless directly asked to. While the querying method is the most standard, there are some alternatives that can be used instead in some circumstances. The most traditional alternative method is the “elevator pitch” which is basically a short oral pitch given to an agent, most often at a writers’ conference, though there are now online ones as well. Your pitch functions like your query letter does, with the intention to garner enough attention from the agent for them to ask to see more of the novel. NOTE: Some agents will ask for material from a pitch, but some will still ask that the author send them a query letter with a note about the pitch included. There are also pitching “contests,” where authors submit some material in the hopes of being selected by a mentor (normally a published author or an editor or someone experienced in some way). If selected, they work with the mentor for a period time, improving both their manuscripts and their querying materials. At the end of the time period, the authors’ revised work is ready and a selected group of agents take a look and ask for material for any they’re interested in. Pitch Wars is an example of this type on contest. The most important thing to remember when querying agents is to make sure you are querying agents who are interested in your genre. Someone who reps romance is going to have no time for your science fiction magnum opus. Querying can be a long process, so there’s no reason to waste your time. One recommended way to identify agents that might be interested in your novel is to look at recently-published books in your genre, and look at the agents representing those authors. These agents are probably interested in what you write, and have sold books, so you know they can get the job done. You can also talk to authors directly about their agents–whether they would recommend them, how they are to work with, etc. DO NOT ask authors to send your work to their agent or to recommend you to their agent unless you would count said author as a close friend. Several databases exist that list agents and allow authors a way to keep track of both who they’ve queries and what the response times were. You can search these databases by genre or specific agent or agency name to get an idea of who might be a good fit. NOTE: You should always check an agent and/or agency’s page directly before querying to make sure they sound like a good fit for you and your book, and also to make sure nothing’s changed from the information in the database. It would be a waste of time to query an agent about your thriller if a quick look at their website would have told you that they’ve temporarily stopped looking at thrillers. There are both free and paid options for researching agents. Several blogs also keep track of agents, including when new ones come into the scene or when new agencies are formed. Some people recommend targeting newer agents because they are actively building their author lists and may be more willing to take a risk. So that’s agents, squiders! Friday we’ll talk about the submission process in greater detail. Let me know if I’m missing anything or if you have any questions! There are two routes one can take when publishing a novel traditionally. The first method is to get an agent, and the second is to deal directly with a publisher. NOTE: Not all publishers will take submissions from an unagented author. It may be a good idea to look at major publishers in your area and see what seems to be the norm. A publisher will note in their guidelines whether or not they accept “unsolicited” submissions. It is more common among smaller presses, or those that specialize in nonfiction, but some larger publishers also accept them. The initial process for submitting a novel to either an agent or a publisher is essentially the same–you will need a query letter to introduce your work to the agent/publisher. Some agents/publishers will also ask for additional materials, such as a synopsis (which could be between 1 and 4 pages, depending on preference, so some experts recommend having multiple versions of yours available of varying lengths), the beginning pages of your manuscript, or, in rarer cases, a marketing plan. There are several books, websites, and articles available on the proper way to put together a query letter and/or a synopsis, so we’ll just touch on the basics here. A query letter is a short letter of 200-300 words that acts a lot like a cover letter for a job application. If you have a specific reason for querying the agent/editor (you talked to them at a con and they asked you to send them something, you looked at their wishlist and your story will be a good fit, etc. ), you start your query with that. Then you spend a few paragraphs hooking your story (it shouldn’t be a summary, and it shouldn’t reveal the ending), and you finalize with a short, relevant bio (which includes previous publications, if any, awards won, life experience that might show that you’re qualified to write this particular story). You also include the title, word count, and genre of your story. A synopsis can be of varying lengths and is a recital of the events of your story from beginning to end. Depending on the length you’re trying to hit, you may have to leave out some characters or subplots. You do include your ending in the synopsis–agents/publishers that ask for them are often using them to make sure the story makes logical sense all the way through. The main point of your query letter is to garner enough attention that the agent/publisher is willing to look at more. The rest of your work will need to stand on its own, so make sure you’re only querying a finished, edited, and polished manuscript. On Wednesday we’ll look at the querying process, as well as the rest of the submission process. Please let me know if you have any questions or comments on the basic set-up of the querying process for novels, or if you feel like I’m leaving anything out! I want to take a moment to discuss Amazon Singles while we’re talking about self-publishing short stories. Amazon Singles is a program you can submit your previously self-published or unpublished short stories and novellas (between 5000 and 30000 words). They also accept proposals. They promise a turnaround time of six weeks. Stories need to be previously unpublished anywhere except Amazon to be accepted. If previously unpublished, accepted stories are published on the Kindle Direct Publishing (KDP) platform and authors receive normal KDP royalties. There seems to be no additional monetary compensation to the program, but stories selected for Amazon Singles are then listed on the Amazon Singles page, which could potentially boost a story’s visibility and improve sales. NOTE: At this time, Amazon Singles does not accept how-to manuals, public domain works, reference books, travel guides, children’s books, or short story collections. I was going to put this program into the options for self-publishing short stories, but there is some level of gatekeeping to the program as Amazon has to accept the stories for inclusion. But they don’t actually do anything a “traditional” publisher would do in this sense–the author still uploads the manuscript, provides a cover, sets the price–so they’re just putting the book on a page. What do you think, Squiders? I’d put this as an example of hybrid publishing myself.